Officiating funerals is one of the hardest things I have to do in ministry. I struggle with the right words to say, the right Scriptures to read. This is difficult for me because I am agonizingly aware that the family before whom I stand lost someone they love. And no matter what I say, their pain will remain for weeks, months and years. When he was called upon to perform this task, there is one thing my late grandfather—the chairman of the deacon board at Macedonia Baptist Church in Idabel, Okla., for over 40 years—would always say to those who attended the funeral to support the family: Be sure to check in with those who are bereaved today, next month and the month after that. For the family, they will carry this loss with them in the months and years to come. Watching Strong Island, the words of my grandfather came back to me. This beautiful, devastating film left me shaking with anger—but it was something I needed to see. 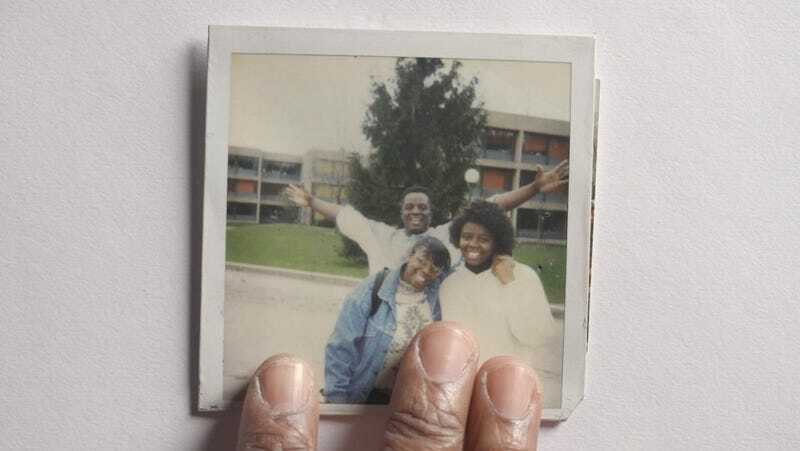 This is a movie about a murder and the injustice that follows in its wake, but Yance Ford is more interested in what grief did to his family because they were forced to move forward without resolution. Strong Island is about a murder that happened in 1992. William Ford Jr., the eldest son of William Ford Sr. (a J-train operator in New York City) and Barbara Ford (an educator), was critically injured when Mark Reilly, a 19-year-old white mechanic at the Super Stang auto shop on Long Island, N.Y., shot him in the chest with a .22-caliber rifle. The two had a contentious relationship because a vehicle owned by the body shop had hit William, and he was convinced to allow the shop to fix it instead of calling the police and filing a claim. The owners of the shop were dragging their feet to fix the car, and William was becoming frustrated. His mother, Barbara, had visited the shop to check on the vehicle, and Mark spoke to her disrespectfully. This led to an altercation between the two men weeks before the murder, and that altercation plays a significant role in the court proceedings that come thereafter. William goes back to the shop on the night of the murder to pick up his car and is shot in cold blood. No charges are filed because an all-white grand jury refuses to indict. The who, what and why of that murder and the subsequent investigation I will not spoil here, but they are only a narrative frame. Yance has other things in mind. He wants to examine what grief does to a family—nay, what grief did to his family. Often, the murders of unarmed black men at the hands of white folks are politicized. There are sometimes marches and protests, but there will certainly be speeches. Outrage is the public’s response to these incidents, but for the families who must continue to live with the absence of their beloved, grief remains after the news cycle moves on to the next story. What is unique and devastating about this film—what makes it required viewing—is how it shows what happens after the injustice. The physiological and psychological cost that families pay because of the anti-blackness foundational to America’s criminal-justice system cannot be overstated. Grief, when not properly processed with a mental-health specialist, can destroy families, ruin marriages and, ultimately, kill. Ford is honest about how his family never talked about the murder. They never sought out professional help. They sat in their anger and grief, and one by one, these unresolved issues tore each of them apart. Yance is a documentarian to watch. The story he tells would be compelling, but it is how he tells the story that won him the Special Jury Award for Storytelling at the Sundance Film Festival in January. This is the beginning of an exciting career. The way he frames his friends and family for interviews highlights the inherent beauty of people who inhabit black and brown bodies. The way he moves the camera is unorthodox for a documentary and shows an artist who is not afraid to bring an almost jazz-improvisational style to the documentary form. And his nonlinear approach to storytelling gives the film a raw emotional power all while being quiet and contemplative. This is a film that doles out information in the way a person grieving would remember it: piece by agonizing piece. Yet I hope that by Yance making this film, the remaining Fords find a bit of closure—and if not closure, then at least comfort.